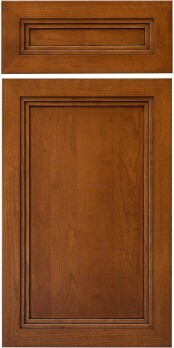 The CRP-10382 door is a great contemporary design playing off of the look and feel of a southwest styling. The double stepped framing bead holds glaze well and really is most at home with painted finishes. This door looks great with its matching drawer front design.